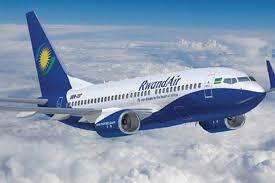 RwandAir will be operating flights to their 23rd destination which is Cotonou Benin, West Africa. The Bombardier CRJ900 will operate thrice a week via Libreville to Cotonou and connect to Gabonese ending it’s route in Kigali Rwanda’s capital. Recently RwandAir acquired a brand new Airbus locally named “Umurage” A330-300 with a capacity of carrying 274 passengers which is operating flights across Africa and Europe. RwandAir is expanding faster than it’s East Africa competitors.